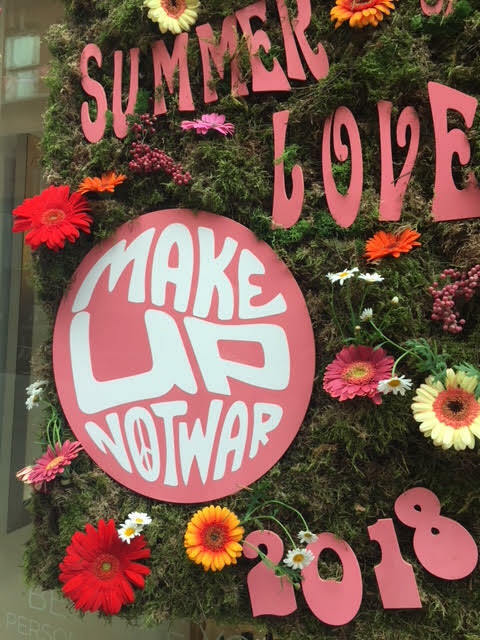 This week I experienced the sheer joy that is Cosmetics a La Carte, based in the heart of Chelsea I was invited to an event to celebrate the new 60's inspired "Summer Of Love Collection" the timing couldn't have been more perfect with Chelsea being fully decorated in it's floral glory for the Summer of Love Week, incorporating the Chelsea Flower Show. Cosmetics a La Carte was also in full bloom, with the most incredible vibe of flowers and love, we were treated to amazing cocktails which even included blooms! The visit to the shop for me was a double winner, not only did I get to see the huge array of cosmetics on display I got a greater understanding of the brand and it's founder Lynne Sanders, a Chemist and Scientist with over 40 years in the beauty industry, her passion and love for cosmetics literally radiates, her vision is to create natural bespoke make up to suit any age. 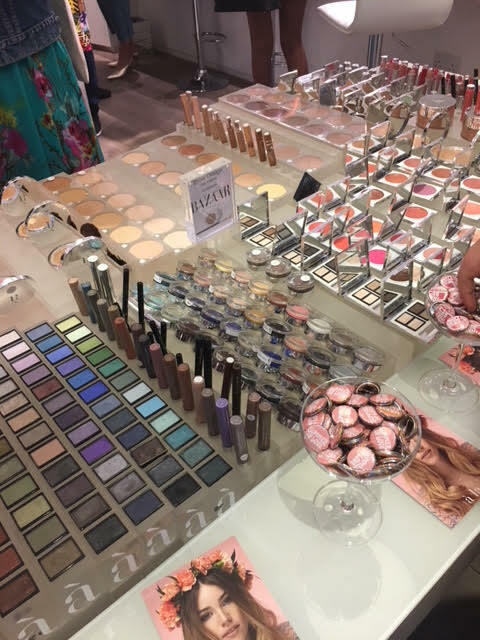 You may not have heard of Cosmetics a La Carte as it is more known to make up artists and those "In the Know" but trust me, if you have ever struggled to find the perfect foundation or make up shades to suit and flatter your complexion you now know where to visit. 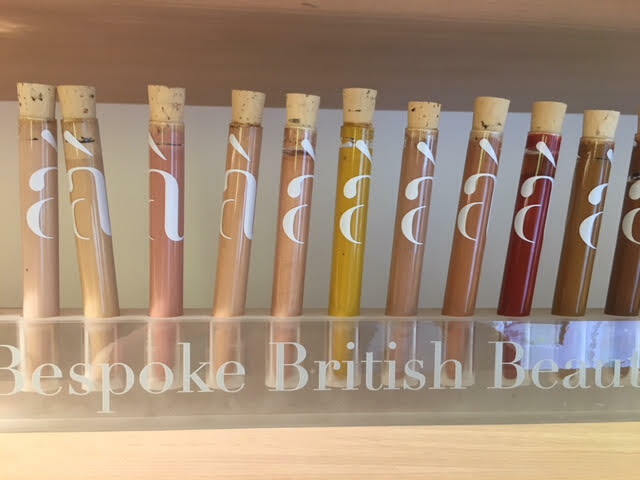 With it's own factory in Battersea South London, everything is manufactured to the highest quality standards and tailored specifically for you, if you have ever had a lipstick discontinued by another brand, fear not. 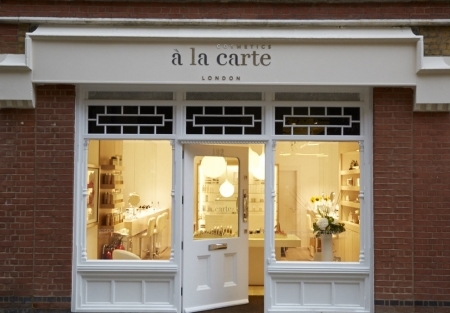 Cosmetics a La Carte will replicate the exact shade for you!! 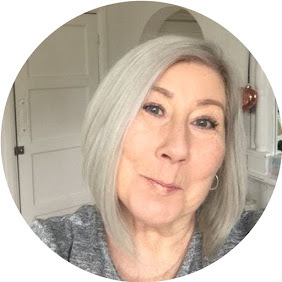 Chatting with Lynne we managed a giggle about today's trends for heavy contouring and shades being beautiful for younger girls: but as we get older subtle more natural looks are far more flattering for us "cough" mature ladies. You can of course buy from the ready made collection of cosmetics, but the real beauty of the brand is having an appointment with a professional make up artist and having your shades designed just for you, and such an investment when you thing of the hundreds of pounds we waste over the years trying to find the holy grail foundation! 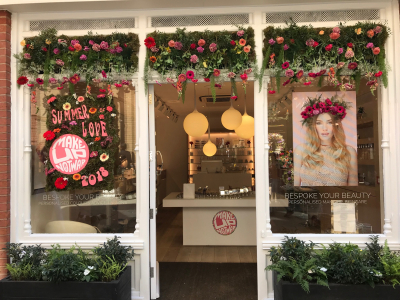 You can of course drop into the shop at anytime, but for a full consultation it's best to book beforehand to avoid disappointment especially if you are travelling into London. This post was originally intended to showcase some products for you, but I wanted to give an insight into the company as I for one, found it totally fascinating and such a gorgeous opportunity to get your make up just right once and for all, it just goes to prove that us mere mortals can enjoy a bespoke service in comfortable beautiful surroundings. Check out the website and possibly learn a little more about the brand, I'm sure you will be tempted! in the meantime I will be back with some product reviews. Cosmetics a La Carte do NOT test on animals.